There’s no denying this is a big, heavy and expensive lens, but the Sigma 105mm f/1.4 Art delivers sumptuous image quality with immense sharpness and clarity, along with beautifully soft and creamy blur. For portraiture, it’s spectacular. Competing in the ring of ultimate portrait primes, Sigma’s latest Art lens is up against pro-grade favourites, including the Canon EF 85mm f/1.4L IS USM, Nikon AF-S 105mm f/1.4E ED and Sony FE 85mm f/1.4 G Master. 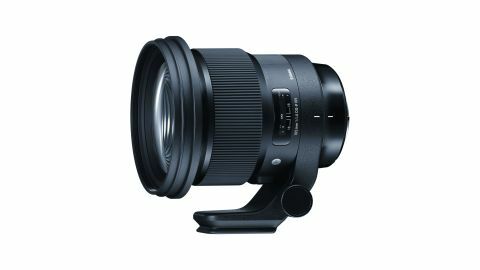 The Sigma overshadows them all, if only in physical size and weight: it’s heavier than most 70-200mm f/2.8 telephoto zooms. The optical design is based on 17 elements, laid out in 12 groups. These include three top-performance FLD (Fluorite-grade Low Dispersion) elements, two SLD (Special Low Dispersion) elements, and one aspherical element. Multi-layer coatings are applied and a fluorine coating is added to the front element, to repel moisture and fingerprints. Unlike many of Sigma’s older Art lenses, this one has weather seals, including a rubber gasket on the mounting plate. As well as concentrating on sharpness and contrast, in conjunction with smooth bokeh, the optical design aims to minimise sagittal coma and astigmatism across the entire frame, so that points of light are reproduced naturally with, as far as possible, a circular shape. The well-rounded nine-blade diaphragm helps to retain this, and to maximise the overall quality of bokeh. True to its claims, the Sigma delivers excellent image quality in terms of sharpness and contrast. Sharpness is impressive right out to the corners of the frame, even when shooting wide-open. Vignetting is noticeable at f/1.4 but isn’t overly severe, thanks in part to the wide physical diameter of the lens. Distortion is negligible, and chromatic aberration is minimal. The Sigma delivers fabulously smooth bokeh, and the transitional areas between focused and defocused areas within images are impressively seamless. Defocused pinpricks of light are well-rounded across the whole image frame, but can be a little prone to taking on a slight onion ring effect. Sharpness remains impressive across the entire image frame, even at the widest aperture of f/1.4. (Nearer 0 is better) Lateral chromatic aberration is negligible, and bokeh fringing is also very well-controlled. (Nearer 0 is better) It’s not quite a ‘distortion-free’ lens, but it comes very close, with only the slightest hint of pincushion.